Contrary to what you might believe, getuping dapper doesn't require that much effort. 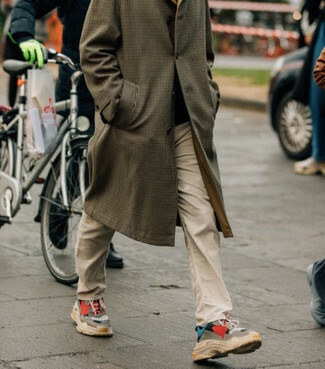 Just rock a brown check overcoat with khaki chinos and you'll look good. Bump up the cool of your getup by complementing it with brown suede tassel loafers. 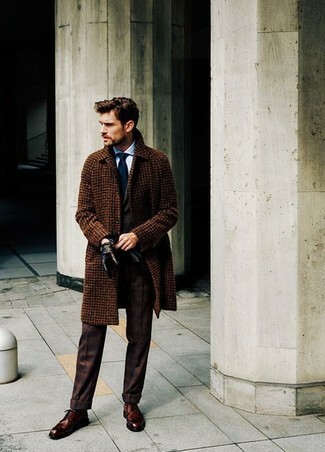 Wear a brown check overcoat with a charcoal wool three piece suit for a sharp classy look. Break up your getup with more casual shoes, such as this pair of brown leather derby shoes. 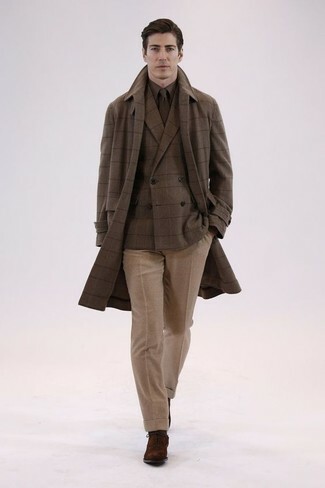 Opt for a brown check overcoat and khaki wool dress pants to ooze class and sophistication. 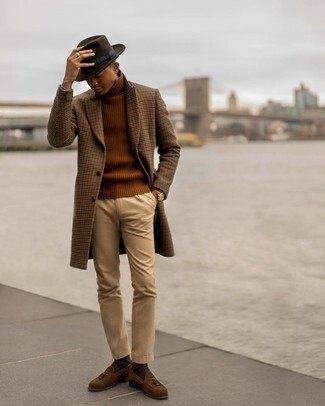 You could perhaps get a little creative when it comes to footwear and dress up your look with dark brown suede oxford shoes. 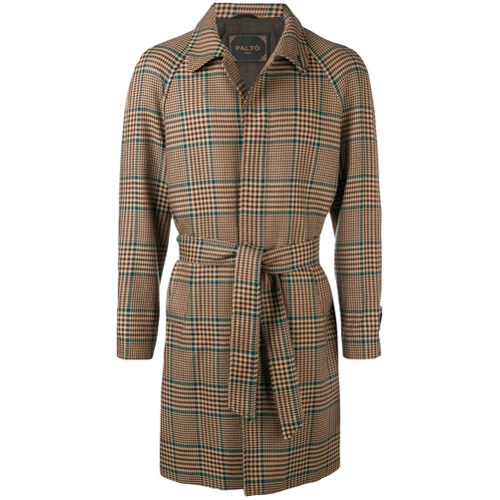 For a casually elegant outfit, choose a Paltò checked single breasted coat and blue jeans — these two pieces play really well together. Want to go easy on the shoe front? Throw in a pair of white suede athletic shoes for the day. As you can see, being a dapper dude doesn't require that much effort. 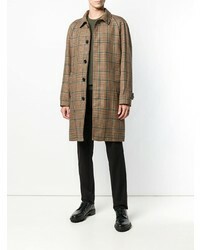 Just opt for a Paltò checked single breasted coat from farfetch.com and black chinos and you'll look nice. 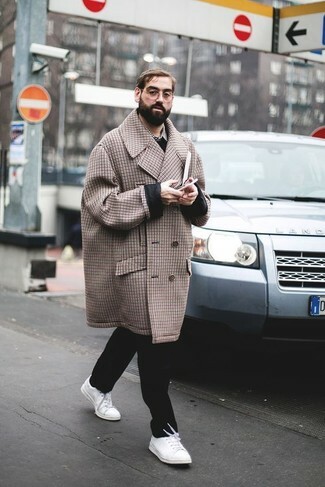 To break out of the mold a little, choose a pair of white low top sneakers. 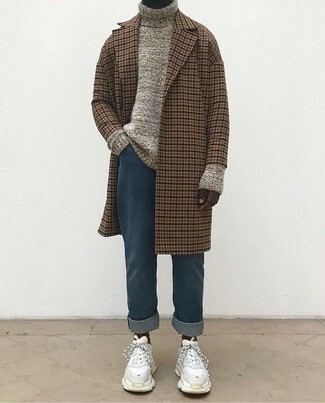 This combination of a brown check overcoat and beige chinos is super easy to throw together in no time flat, helping you look sharp and ready for anything without spending too much time rummaging through your wardrobe. Multi colored athletic shoes will deliver a more relaxed feel to your getup. 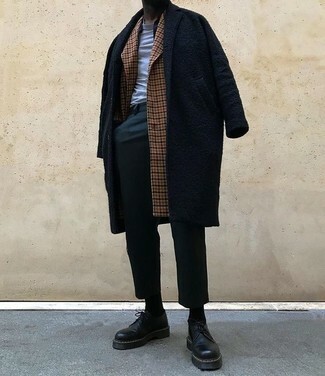 For a nothing less than incredibly stylish look, consider pairing a Paltò checked single breasted coat with a dark brown three piece suit. 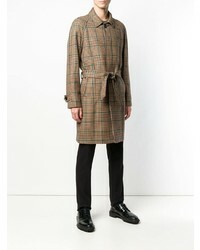 Team a Paltò checked single breasted coat with a black overcoat for a sharp classy look. If you don't want to go all out formal, grab a pair of black leather derby shoes. 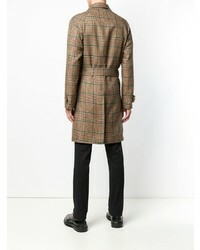 Consider teaming a Paltò checked single breasted coat with a dark brown suit for a classic and refined silhouette. To break out of the mold a little, grab a pair of dark brown leather derby shoes.